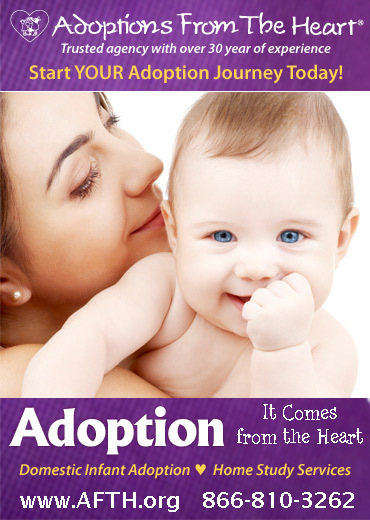 Choosing to adopt as a single parent is not an easy decision. It takes much soul searching and an honest connection with yourself. Regardless of who is in your life to help you - single parent adoption can be a lonely and very tough job. It can also be one of the most amazing and truly loving experiences of your life. Our road was not an easy one - but I never, not for one moment, regret adopting my daughter. My little miracle was born in Bulgaria and placed in a hospital at 19-days-old for malnutrition and neglect. From there she lived in two different orphanages - one for babies, and as she aged she was moved to the older child orphanage. I've seen pictures (since I did not travel there) and it was a very clean and bright environment. They each had a little bed and chair. Clothes were shared as was the precious attention from too few caregivers. There was no milk - no cookies - and often no meat. They ate small limited meals - mostly soft like gruel or oatmeal. No toilet paper and no flushing. Just a hole or a pot. Perhaps that explains why bathrooms terrified her for so long. They cut the toes out of shoes to let her feet grow. Lice were frequent, and so was head shavings. She was stubborn child or so they said. I say - she was resilient. She was adopted by another family at the age of 6 years. The previous adoptive mother had unfortunately poor motivation for adopting. The first adoptive mom told my daughter that, "we have paid alot of money for her," so that their biological daughter could have a sister. 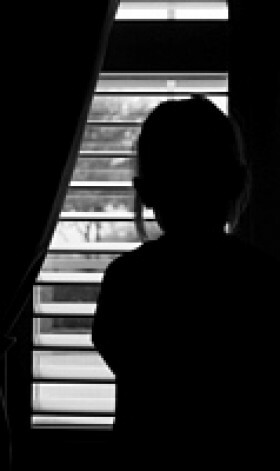 There was no bonding, minimal hugs and no desire to truly understand my daughter as a unique human being who was suffering the trauma of (which in most cases leads to joy) of Older Child Adoption.. For three years they moved her from school to school and doctor to doctor until people would agree with the adoptive mother that this was a bad child. There was no real attempt to understand her and love her. She drove her from place to place - adoption agency office to office and proclaimed in front of everyone that she "no longer wanted this child someone needs take her". My daughter regressed. Pottied in her pants. Retreated. Lashed out. When pushed, she pushed back. Then, at the age of 9-years, the first adoptive mom simply didn't pick her up from school one day. The school superintendent called the mother. "Please come and pick up your child". "I won't. I don't want her. If she lives in this house, then I won't". "Well, you can't just leave her here." "When my husband comes home from work, he can get her then and take her somewhere." The father picked my daughter up from school - drove her in silence to a therapeutic foster home - left her - and never spoke with her again. Two months later I received a phone call from my social worker on the day that my home study was approved. They told me about this 9 year old girl disrupted adoption - possible RAD, on medication for ADHD. What did this all mean? I had educated myself about older child adoption issues - attachment, RAD, abuse/neglect, ADHD, FAE/FAS, and post institutionalization issues. I had read tons of books and taken adoption classes. But what did this all really mean? For this child and for us. Those are the answers I needed. I met with her county social worker and the current foster mother. There was indeed some inappropriate behavior. She was initially very shut down and now very wild at times. She was medicated. She was a very passive aggressive child. I was shown her picture. What a beautiful child - dark hair, brown eyes and that olive complexion. But behind those eyes was so much pain. Could I help this child? Could I handle this? Would I be ruining my life? Would I destroy hers any further? I knew I was a very strong and determined person. Could I do this alone? I weighed the pros and cons. I spoke with my family and friends. Some were very supportive. Some were discouraging. I knew I wanted to be a Mom! Something kept pushing me towards this child. I felt like I had known her all my life! She already had a special place in my heart. After two months I decided to adopt her. It was another 4 months before I'd meet her. At the 11th hour, the 60 yr old foster mom decided she wanted to adopt her. Are you kidding me? The gifts I wrapped her for Christmas remained under the tree and then in my closet until that February 1st. By then her foster mother and I had telephone conversations about what was best for my daughter. She loved her enough to let her go. She needed to be with me, she said. That first day I was to meet her, I was a wreck. It felt like a blind date that everyone had built up to me or a job interview for that one perfect job. My stomach was in knots and my palms were all sweaty. Would she like me? As I anxiously sat at the foster mom's dining room table with my social worker, the county social worker, the guardian ad litem and the foster mom, my daughter blew in like a familiar and comforting wind. She was just home from school. She dropped her coat and book bag and walked over to the table and stood by her foster mom. She smiled at me. On the table was the dark haired Barbie and art supplies still wrapped in Christmas paper that I had bought months before. Also on the table was the photo album I had made for her the month previous which she had looked at all that week. It contained pictures of her new home, her new room, her new dog, her new Mom and her new family. She proudly told the other foster kids the night before "see, here's a picture of my new Mom". She took me up to her room and showed me her things. She hugged me that day when I left. I knew right then and right there that she was meant to be my daughter. I cried in the car all the way home. I was going to be a Mom! After a month of weekly visits and weekends at my home, she moved in. I hung up banners and planned a quiet weekend for the two of us - just to nest. I bought her a little gift bag with her new hairbrush, toothbrush, etc. We played games and read together and made cookies. It was a glorious 8 days. Then the honeymoon was over and the testing began. This intense, horrible testing lasted for 4 solid months. I felt like I had been hit between the eyes with a two by four. Why was she lashing out at me? I'm nice to her. Why won't she do as I tell her? We have rules - every family does. Why doe she push me away when I get close to her? I decided to keep on loving her and showing her that love. I learned how to redirect behavior. She got lots and lots of timeouts. I cried myself to sleep at night. We went to therapy weekly. I made reward calendars with stickers, used love and logic parenting (consequences), learned to ignore and praise, asked family and friends for little breaks, started exercising again and went through a roller coaster of emotions - frustration, joy, anger, happiness, sadness and mostly pure exhaustion. I wondered - could I continue at this pace? Then... in July (4 months after she moved in and almost a year to the day that I found out about her) she came into the kitchen where I was washing dishes. She called me Mom and said "You know, Mom, I have waited all my life for a Mother like you!" Then she hugged me and handed me a note that she had written. It's now framed and hanging in my bedroom. It said "Thank you for adopting me and taking good care of me. If you were a kid, I would adopt you too. I hope you keep me forever. I love you!" This began the healing process for my daughter. It also firmed the bond that I had for her and cemented all my feelings of love and devotion and commitment. We became a family. It has been almost three years. We've had our ups and downs as any family does. We went through incredible therapy for 2 1/2 years and have been aided by medication. My daughter has ADHD, and anxiety. I made many trips to her school on her behalf. I advocated for good medical care, special-ed services and good therapy. I put my life (and any subsequent social life) on hold to help her heal and for her to learn to trust and to love. Today she is a pretty typical adolescent. She'll be 13 in February. She plays sports, has trouble with friends and relationships, and adores her Gramma, aunts, uncles and cousins. She asks for too many things, appreciates your time with her, argues about chores, offers to help, and chooses music I don't approve of but still walks hand in hand with her mother at the mall. She tells me she misses me when we're apart. She offers hugs and kisses easily. She accepts love from others and enjoys cuddling up with mother on a Friday night to watch a good movie and eat popcorn. Her smile would knock you out! And she likes herself!